Reigstad provides structural steel connection design for fabricators, owners, and general contractors. 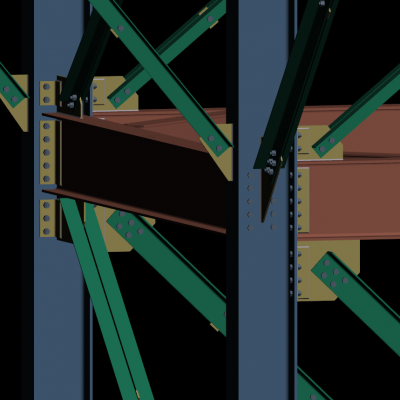 Our specialized connection design team has fabrication and erection experience, and stems from our structural design firm, giving us both a comprehensive understanding of how structures are designed and how they are actually put together. We are creative, innovative, and have a multitude of tools at our fingertips which allows us to evaluate alternatives so we arrive at safe and economical connection designs. Being well-versed in SDS/2 allows us to model complex connections so we can be certain the connection can be both fabricated and erected.